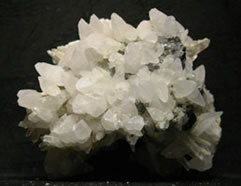 The specimen shown at right, in the first row, is calcite from the Krushev Mine, Madan District, Southern Rhodope Mtns, Bulgaria. 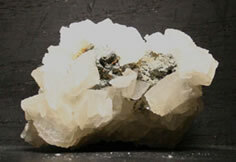 The second row calcite specimen is from the 9 September Mine, Madan District, Southern Rhodope Mtns., Bulgaria. 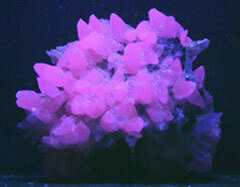 Both specimens fluoresce best under both long and short wave ultraviolet lighting at the same time. 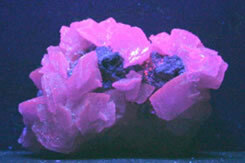 The calcite fluoresces a nice pink with a touch of violet.